Are GNU ready to party? It's been 30 years since the GNU manifesto was penned. What began as frustration over a printer driver has grown into a massive social movement. The GNU system itself has exploded; not only is it a fully free operating system, but it has expanded to include an entire universe of software. Now, GNU is on the threshold of another amazing leap, and we want you to be a part of it. When: Saturday and Sunday, September 28 - 29, from 10am until midnight. Special fundraising dinner to be held on Friday, September 27th. RSVP: Registration is now open! GNU's 30th will be an opportunity for free software legends and enthusiastic newcomers to tackle important challenges together, while toasting to the GNU system's success. That's why this 30th anniversary event is more than just a celebration, it's also a hackathon. This event isn't just for programmers either; there will also be opportunities to contribute in many other ways besides writing code, such as a Free Software Directory sprint, crypto workshops, and much more. Come join us in developing and documenting free software for our Web-based world, with a focus on federated publishing and communication services, as well as tools to protect privacy and anonymity. Plus, it has cake and coding; what could be better? And of course, you'll want to be in the room when Richard Stallman makes a highly anticipated announcement about the future direction of GNU. 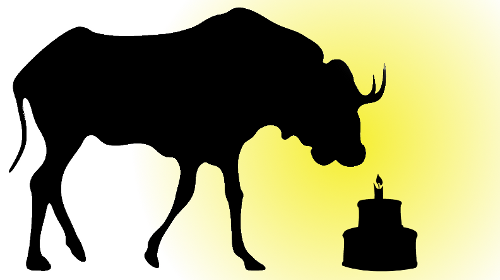 The anniversary celebration is a chance to come together with other free software supporters to launch GNU on the path to another successful decade. In addition to contributing code and documentation, consider joining us for a special fundraising dinner on Friday, September 27th. Give back to GNU while enjoying a delicious meal with Richard Stallman, Bradley Kuhn, and John Sullivan. More details about the fundraising dinner will be available soon, and a limited number of tickets will be available. To reserve advance tickets, please email campaigns@fsf.org. P.S. Can't make it to Boston? 30th anniversary satellite celebrations will be held around the world. If you'd like to be notified if a satellite event is planned in our area, sign up for our GNU 30th satellite event notifications list.